Lancaster Painters Australia are experienced in the safe testing and removal of lead paint and asbestos. We provide high quality and eco friendly asbestos removal, lead paint removal, repaint services and green painting services for all residential, commercial and heritage buildings, houses and Churches. Lancaster Painters Australia take lead and asbestos poisoning VERY seriously. We care about your health and take every precaution to remove asbestos and lead paint in such a way so that you and your family, the local community, workers, the environment, vegetation and animals are not affected by lead or asbestos poison during the removal process. We use the latest National WHS (Work Health & Safety) policies (previously OHS). For more information, read about the dangers of lead poisoning and the Press Release warning of the dangers of lead paint management by unskilled trades. During the process of asbestos removal and/or lead paint stripping, Lancaster Painters Australia strategically implement safety precautions to prevent the contamination of the environment including the air, the water, the earth and vegetation. For more information, see our sustainable painting practices. Lancaster Painters Australia have completed the accredited 22002VIC course in Sustainable Painting Practices and the accredited Lead Paint and Asbestos Management course CPCCPD3011A, to safely test and remove lead and asbestos, using lead and asbestos test kits. 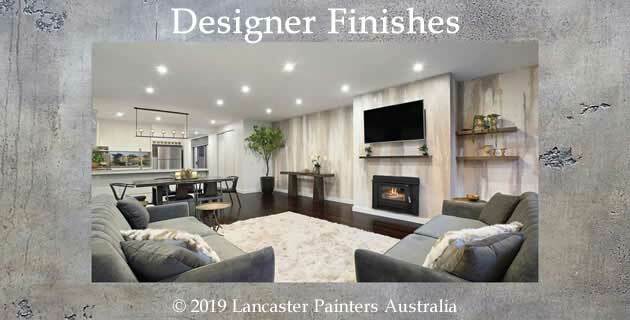 Lancaster Painters Australia follow the AS 4361.2:1998 specification on lead paint stripping, providing the user with knowledge, options and methods. It also makes it clear that in addition to the “normal” performance standards, a Clearance Standard has been established. The use of this specification ensures the area is left free of lead hazards. Elinor McDonald hired Lancaster Painters Australia to safely remove lead paint from the internal walls and woodwork of five rooms in her 1870’s cottage. We repainted her walls and woodwork using environmentally friendly paint containing no VOCs (Volatile Organic Compounds) from Bio Products Australia. “I would highly recommend Lancaster Painters. I found them to be very knowledgeable and thorough as well as easy and pleasant to deal with. Removing lead is a delicate process and Lancaster Painters handled everything with great care and attention to detail. They kept me informed of every stage and I’m convinced that the walls in my house are now in a better condition than they were when they were built.” – Elinor.